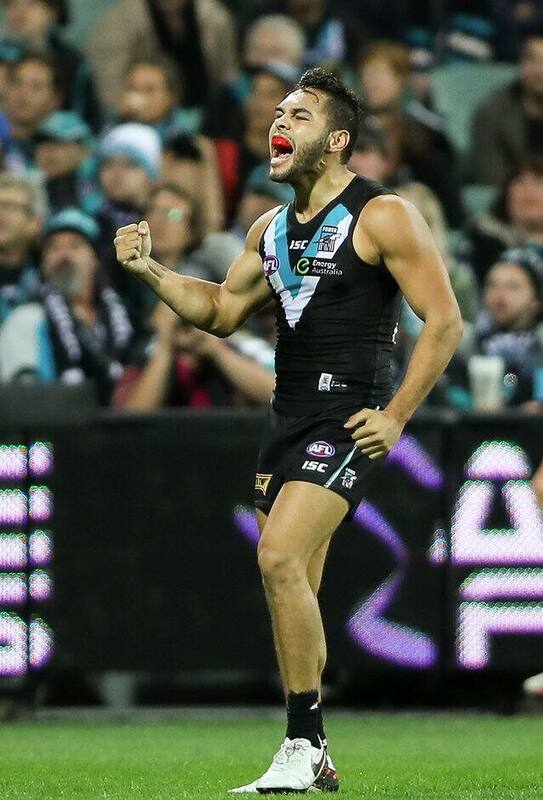 PORT Adelaide forward Jarman Impey crashed into the car of teammate Angus Monfries and three other vehicles before fleeing the scene. South Australia Police have reported the 21-year-old for driving without due care, failing to exchange particulars and failing to report the collision. Impey will be summonsed to appear before the Adelaide Magistrates Court. The incident occurred at around 7pm on Saturday when Impey was leaving a pool party hosted by Monfries in Norwood. Power officials were unable to contact Impey until the early hours of Sunday morning. In a video statement released on Sunday afternoon, Impey said he deeply regretted his actions. "I made some very bad decisions and I just want to apologise to Port Adelaide and the wider community for what took place last night," Impey said. "It was a mistake. I spoke to police and I understand that there will be repercussions for my actions. "I'm willing to do anything to ensure I'm not in this position again. "(I am) sincerely sorry for what happened and I couldn't apologise enough and, just, deeply sorry." Power chief executive Keith Thomas was unimpressed with Impey's behaviour. "From Jarman's point of view, he's very embarrassed and apologetic and very remorseful," Thomas said on Sunday. "He didn't handle the situation as well as he would have liked. "From the club's point of view, we're disappointed we're in this situation and we're thankful no one is hurt. "We will be discussing this at length with Jarman and the leadership group tomorrow. "I'm sure there will be disciplinary action that will result from it." Thomas said Impey had left his phone at the party and he had walked "a good part" of the 17.5km from Norwood to his home in Grange. The Power had a training session on Saturday morning before a small gathering met at Monfries' house. "There were a few, not the whole group, more in the range of three or four," Thomas said. "This event happened around seven o'clock, so to what extent alcohol was involved, I'm not sure. "Given the extent of the damage to (Monfries') car, it looked reckless, it was a fair impact. "It looks like he's hit that one pretty firmly and bounced into a couple of others." Thomas said he didn't have any problem with the Power's players having drinking sessions while they are in the middle of pre-season training. "Right now they are training six days a week and to have a few drinks in a pool on a warm afternoon is not out of the question," he said. "Our expectation would be that after Saturday morning training they have Saturday afternoon off and recover on Sunday and be ready to go on Monday. "I don't think they've done anything wrong from that point of view, it's the way Jarman dealt with the issue that's the problem." Impey has played 55 games with the Power since being taken with the 21st pick of the 2013 NAB AFL Draft. Thomas said it was Impey's first off-field indiscretion. He also said Impey's welfare would be taken into consideration when deciding upon an appropriate punishment. "We are mindful of the fact Jarman is 21 years old and his father passed away just about a month ago," Thomas said. "It's clearly a breach of our standards, Jarman is aware of that. "He's a young man dealing with the issues that go with that, so we're conscious of his well being. "Having said that, this is an incident that shouldn't have occurred and we'll deal with it appropriately."